Then he accidentally unearths a devil, and Max's choices are no longer his own. The big red guy has a penchant for couch surfing and junk food--and you should never underestimate evil on a sugar high. With the help of Lore, a former goth girl who knows a thing or two about the dark side, Max is races against the clock to get rid of the houseguest from hell before time, and all the Flamin' Hot Cheetos this side of the fiery abyss, run out. * "Hilarious--all the way through." 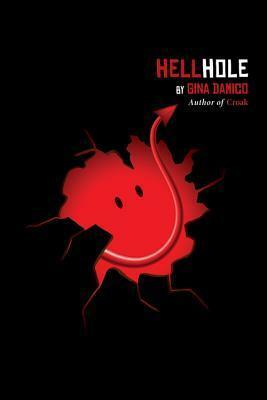 Gina Damico is the author of Croak, Scorch, and Rogue, the grim-reapers-gone-wild books of the Croak trilogy. A native of Syracuse, New York, she now lives outside Boston with her husband, two cats, and one dog, and while she has never visited hell in person, she has spent countless waking hours at the Albany Regional Bus Terminal, which is pretty darn close. Visit her website at www.ginadami.co.